Though Patrick Kane himself has still not publicly commented on his Cinco de Mayo bender in Madison, the Blackhawks have finally admitted their disappointment over the incident. 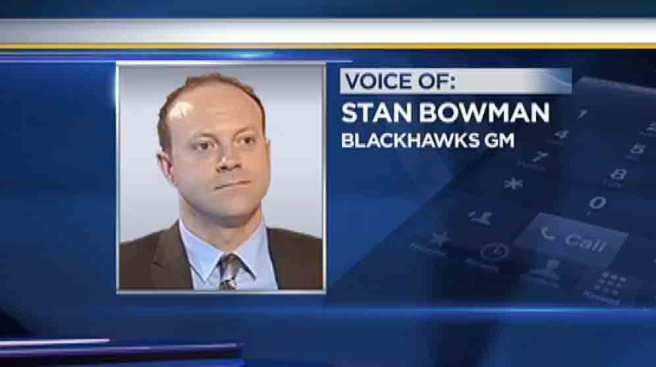 During a conference call about the Hawks' signing of Johnny Oduya and Jamal Mayers, General Manager Stan Bowman said that he and Kane have spoken privately about what he said "disappointed" him and the rest of the club. "We discussed it with Patrick. We've handled that internally. We're obviously diappointed with how it played out and Patrick is aware of that fact. At this point, it's a private matter," Bowman explained. He added that he was not going to comment on the incident anymore, and that he, Kane, and the team are "going to look forward." Kaner, notorious for his out of contol partying and drinking, spent his Cinco de Mayo at the University of Wisconsin in Madison. Reportedly some of his top highlights of that particular weekend included being blacked out almost the entire time, choking a sorority girl at a frat party, making anti-semitic remarks and passing out at a bar. Not to mention getting kicked out of parties and bars, and even getting in trouble with the police, according to gossip site Deadspin. Kane, unsurprisingly, has not spoken publicly about the weekend in Madison.